There are two seasons in the area – the wet season from December to the end of March, and the dry season from April until November. The mean annual rainfall is 850 mm. Summer (wet season) temperatures usually range between 25 °C and 35 °C. October and November can be hot and dry while the winter months from May until August can be cool at night. November thunderstorms are spectacular to watch and usually herald the approaching wet season. Pioneers country. A place that wilted even the toughest early explorers. This region of sparsely settled cattle stations as big as some countries, stark red earth plains and scattered billabongs along seasonal rivers is Australia's "big sky" country. Piercing blue days of cloudless sunshine and occasional thunderous summer storms bringing the land to life. Rich red sunsets fade into nightly heavens of brilliant stars on an inky black canvas. 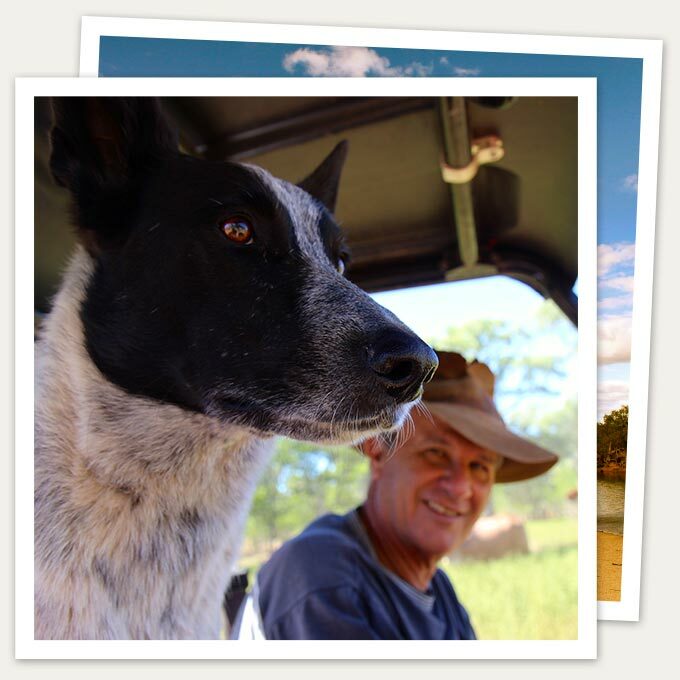 Dry and hungry soils interspersed with spectacular rock formations and precious waterholes; a magnet for wildlife. A region of dramatic contrast to the opal colours of the reef and rainforest east coast. This ancient landscape is a remnant of the oldest land on earth - the ancient Gondwana/Pangea continent that was ripped apart in geological movements like giant hands moving pieces of a super-continent sized jigsaw puzzle. 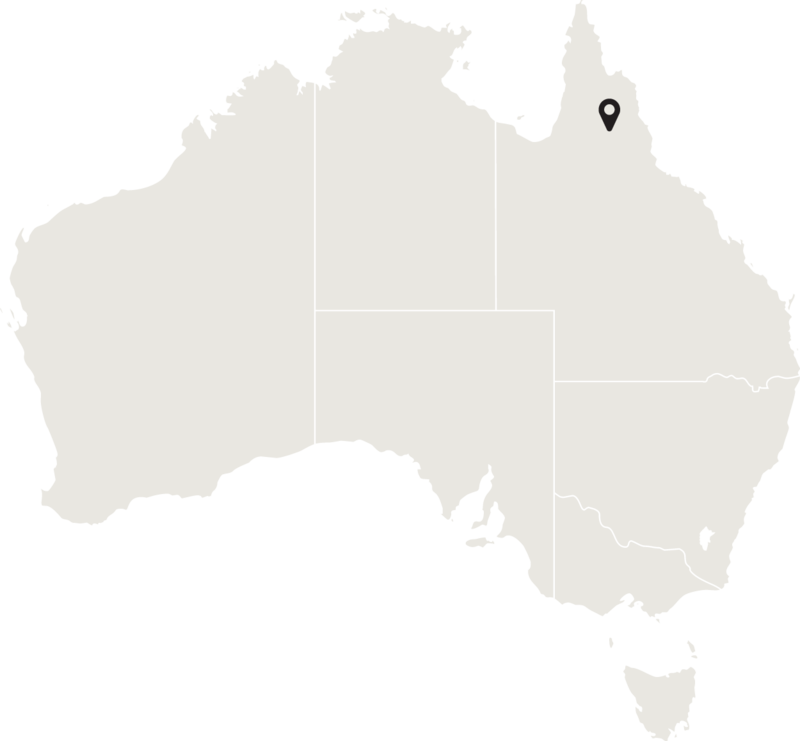 The old continent's edge can still be traced today along the ridge of the oldest "Great Barrier Reef" left high and dry as black limestone ridges and spectacular caves around the Chillagoe area. Multiple uplifting events and volcanic activity built the east coast ranges of Daintree and recent lava flows created the spectacular lava tubes of the Undara region. With good reason this region is said to have the greatest geological diversity in the world. Dominated by the seasons, the landscape is a changing backdrop of brown to green for this outback theatre. In the 'Dry', threads of watercourses weave across the vast parched land - with occasional pools providing deep green oases - a battleground of survival for barramundi, freshwater crocodiles and migrating birdlife. The larger permanent lagoons thrive throughout the year and develop a diverse and complex ecosystem. Jabiru, Magpie Geese, Sea Eagles and diverse waterfowl concentrate around these sources of life as do wild pigs, brumbies, wallabies and kangaroos. As the first afternoon thunderstorms approach in December with the coming of the Wet, spectacular displays of monsoon rainclouds burst from the sky and the land becomes rich and green within days. Migratory birds arrive and wildlife flourishes - a vibrant and exciting time to be in the Top End Outback as rivers and lagoons are replenished, life rebounds and the perennial seasonal cycle continues under the perennial "big sky" sun.